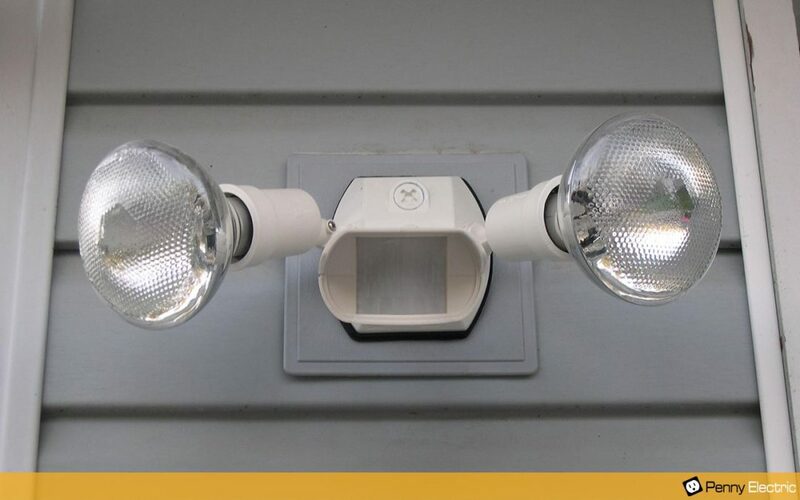 Outdoor lighting is your first line of defense against prowlers or intruders. Security lighting discourages prowlers and unwanted guests from entering your property (Dark clothing and dark skies are a burglar’s best friends!). Place outdoor security lighting so that it illuminates all four sides of your yard, reaching to the perimeters of your property. Bright is good, but not so bright that contrast from shadows can give an intruder an even better place to hide or escape detection. Don’t forget about the garage, a favorite of those looking to steal expensive equipment and tools, not to mention bicycles. Lighting can’t be effective if an intruder can get into your exterior power supply boxes and simply turn it off. For that reason, as well as for the safety of your kids and neighborhood children, keep all outdoor power supply boxes securely locked. Motion-detecting lighting turns on when somebody passes near it. It’s a popular choice because it only comes on when needed, thereby saving on energy costs. To be really effective, these should be positioned at each corner of your home and garage. Hi / Low Combination motion-detecting lighting stays on all night at a low light level, but brighten as somebody passes by. Survey your yard and trim back over-grown shrubbery that could provide convenient hiding places for intruders. You can also use strategically placed shrubbery to deter trespassers, such as climbing roses and various ground-cover rose varieties, hawthorn, and others. Talk to a nursery professional or landscape designer for suggestions. You can use them to prevent someone from scaling a fence around your property and/or place them beneath windows to deny intruders an easy means of entry. Some exterior lighting is necessary for safety. Lighting the edges of stairs helps prevent nighttime visitors from tripping when climbing them, and it’s essential to light paths leading from the garage to the front or back door and/or from the street to the house. It’s also wise to light your house number so that first responders and emergency personnel won’t struggle to find your home in the midst of an after-dark emergency. If you have a beautiful dwarf tree or flower bed, why not illuminate it so you (and guests to your home) can enjoy it after dark. Accent lighting provides drama and extra security at the same time. Security cameras are a boon to home security, if you make sure that the area they’re covering is not producing so much glare that they fail to provide a clear image of a trespasser. It’s important to protect and conceal outdoor wiring for both aesthetic and safety reasons. Both animals and weather can damage exposed outdoor wiring. Your exterior wiring should be rated for outdoor use and buried. Also, any and all outdoor outlets must have ground fault circuit protectors to protect against electrical shock due to wet or snowy weather, and must also have weatherproof covers. A licensed electrician will be up to date on local and state codes in regard to providing and installing safe exterior wiring. Anything that involves electricity, especially in an outdoor setting, is a job best left to a professional licensed electrician. In Southern Nevada, trust the professionals at Penny Electric, your full-service residential and commercial electricians serving the Las Vegas, Henderson, Summerlin, Green Valley, Boulder City and surrounding Southern Nevada areas. Contact us for a service quote today!